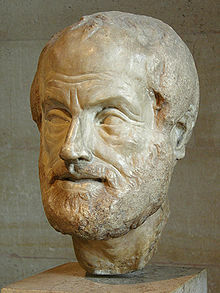 Who said: "Wisdom is the reward you get for a lifetime of listening when you'd rather have been talking"
The philosopher and scientist Aristotle is believed to have been born in the Northern Greek town of Stagiros in 384 BC. When he was 17 he joined Plato's circle at the Academy in Athens. He remained there for 20 years, first as a student and then as a teacher. After Plato died, he traveled widely including a period of time educating Alexander the Great. Later he began his own school in Athens known as the Lyceum. Although he died in 322 BC, the results of his philosophical and biological studies have continued to impact the world for more than 2,000 years. He is considered one of the 'big three' philosophers of the period, along with Plato and Socrates (Aristotle was a student of Plato who had been a student of Socrates).